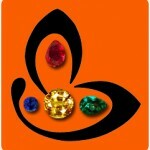 Beautiful Emerald | Natural Emerald | Emerald jewelry | Emerald Benefits | green stones. 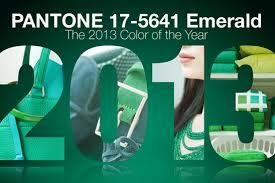 Pantone has named “emerald” as the “color of the year” for 2013. For the uninitiated, Pantone is an American company, an acknowledged, world-renowned authority on color and provider of color systems and leading technology for the selection and accurate communication of color across a variety of industries. Of course, why particularly emerald? “Lively. Radiant. 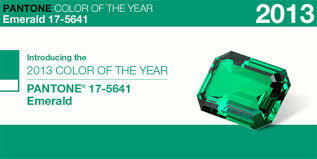 Lush… A color of elegance and beauty that enhances our sense of well-being, balance and harmony.” This is how Pantone describes the color emerald. Because emerald is the luxurious green that can give an aura of richness to wherever it is used – whether in apparel, in jewelry, in home decor, adding color to office environs, it can liven up anything! Coming back to jewelry, you can add that zing to your jewelry collection by adding a splendid emerald bijou like the one featured today. It will work its charm, regardless of the attention to design and detailing. It’s razzle dazzle is enough to capture imagination. Featured today is a beautiful natural Zambian emerald of 2.20 carats set in Sterling silver as a Mercury talisman pendant. The oval cut fully natural and treatment-free emerald has a clarity and lustre that is very rare in emeralds and this one really casts a lasting impression. 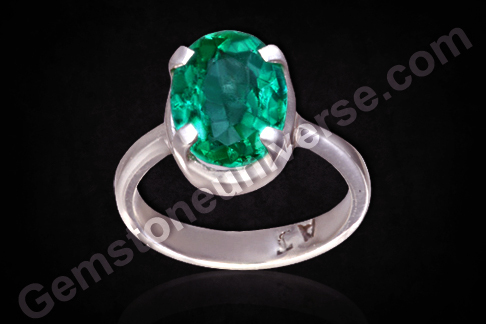 With excellent clarity and classic emerald green color, this is a beautiful jyotish gem that packs in a lasting promise.Natural emerald also known as panna is the gemstone of planet Mercury or Budh and is used to harness the benefic energies of this planet!Note: The above links generally exist on the website for a period of 40 days after which they are periodically deleted to make way for new gemstones and to enable faster browsing.